For those of you who read my review of Leadercast from a month ago, though I provided some valuable notes from what I experienced, there is no doubt that I started that post with some fairly critical commentary about the overall experience, and the concerns I had about the future of the event. I cannot fully retract those comments, because they are not only my experience, but my evaluated experience. Only a different future experience would be adequate to do so. At the same time, my hopes for the future of the Leadercast event have changed and I now feel willing to experience it again. Leadercast is a huge event. I have mentioned that I have attended both the live event in Atlanta, as well as the simulcast here in Asheville, over many, many years. The event is held annually. As of late 2016, Leadercast is head up by a new CEO, Duane Cummings. Leadercast claims more than 100,000 attendees at this one day event, at more than 700 locations, in 20 different countries. My most recent blog post was made on May 11th. You can imagine my surprise when on early May 12th there was message on my phone from none other than the CEO of Leadercast, Duane Cummings, wanting to talk to me about my concerns as posted on my blog. After fulfilling a few of my morning obligations, I returned his call that same day. Duane spent over 30 minutes with me discussing my concerns, and the present vision for Leadercast. He explained some of the opportunities that exist for regular attendees, and also that some of my concerns had been addressed this past year at the local Atlanta event. There were some explanations, such as the shorter event day, that I still question (it is only one day a year after all), however I understand the basis upon which the change was made. I also feel that I understand a little bit better about the difficulties in putting together such a large event meant to serve leaders of so many ages and demographics. Most impressive is simply the fact that he called, and then followed up with an email, expressing that his intention for Leadercast is to serve all of the Leadercast community. One of the criticisms I mentioned to him in the call (not in the prior blog post) was that at the local event in Atlanta the speakers’ books were no longer being offered for sale. I did not write about it because it seemed somewhat minor, and more of a personal beef about the event. I explained to him my awareness that in just two years 50% of the workforce will be Millennials, but I offered to him the fact that also means that 50% will not be, and some of those people still prefer to read out of books, instead of interactive applications on an IPad. He explained to me that this was his first year leading the event, and that he actually brought the sale of books back to the Atlanta live event this year (2017). He indicated in his follow up email that as long as he is leading the event, they will still offer books for sale at the live event. Leadercast in Atlanta used to be a place where I purchased my leadership reading for a full 6 months, and this itself may bring me back to Atlanta to give it another chance. Much to my surprise, a week after our phone call I received a large box at my office, addressed from Leadercast. It contained leadership books. I had neither asked for, nor in any way ordered any of these books. It was a gift which was very much appreciated by me. Of the books enclosed, I only already had one (which I gave to an Associate in my law firm). One I was not familiar with was “The Sensational Salesman” written by none other than Duane Cummings. It was the first one that I pulled out of the box, and the first I have finished reading. It is a well written parable book (such as the parable books that Patrick Lencioni writes). Not only do I highly recommend this book, but several of the life lessons that the main character of the book experiences were exemplified by Duane in these few communications I had with him. His book helped me understand that Leadercast is in good hands, and well poised for the future, if he believes and carries out what he writes about in his book. His call and interaction with me proved that is most likely the case. I highly recommend his book, and now will probably plan to attend Leadercast Live in Atlanta on May 4, 2018. Thanks to Duane Cummings for making this one (of over a hundred thousand) member of the Leadercast community feel like his concerns are important. Thanks for living the leadership principles that you write about. A live example of servant leadership is always so much more impressive than what anyone can write in a book. I have attended Leadercast for many years. Occasionally I miss one due to a scheduling conflict, but I have been to most. I have attended live in Atlanta many times, have done the Executive Experience a few times, and have also attended a simulcast in Asheville two times. My observation is that though some content remains excellent, there is less of it. I am not exactly sure when the downturn occurred, but the fact that the event is ending one hour earlier in the day the last two years (end time of 330P instead of 430 PM), and the pullout of John Maxwell, (last appearing a few years ago), may have much to do with it. Pricing has escalated for the Executive Experience in Atlanta, though regular attendance is still affordable. It is my observation that as Leadercast has searched for new speakers to provide content, it seems that perhaps they have lost sight of the fact that not every great leader of an organization is a great speaker about, and teacher of, leadership. The sweet spot for Leadercast and other leadership conferences seems to be to find speakers who do both well. I am afraid that with fewer hours being filled, the odds are greater that one or two speakers who lack that special quality to teach and convey leadership content have a greater likelihood of affecting the overall impact and effectiveness of the event; the kind of impact that causes an attendee to say: “I can’t wait for next year”. Look at everything we do through the lens of “means”. Pay attention to what stirs your heart in struggling to discover purpose. Am I making a contribution? As we go about what we do, ask the people who we work with more questions about why, instead of how? Be more informative to them about the why of what they are doing, instead of just the how. Dan made the point that great leaders are a sentence. He used examples such as Lincoln and Roosevelt, and described what sentence probably defined each of them. He challenged us with: What is your sentence? Dr. Henry Cloud gave his usual excellent Leadercast presentation. The conference started with defining purpose and discussing how it is cultivated in an organization. Dr. Cloud spoke about accountability. He discussed what works when it comes to accountability, what does not, and why it does not. The problem is that we are not all “10’s” as leaders in all of these things, and unless we have folks strong in all areas and hold them accountable, our organizations tend to look like the leader, and have the same strengths and weaknesses as the Leader has. I’m an avid reader of historical leadership. I have at least one book, if not more, on each President of the United States. I collect and read these books for one main purpose – to help further my leadership education and development. The story of each President – whether good or bad – contains numerous lessons in leadership. This study of the Presidents has led me to discover a true treasure of leadership – persons who have worked with or otherwise influenced elected leaders, while never holding the highest office. To name just a few, I think of Seward’s involvement in the Lincoln Administration, the influence of Clementine Churchill during the periods that the United Kingdom was led by Winton Churchill and Alexander Hamilton’s influence during the infancy of the nation. There is one “behind the scene” leader who I did not know that much about until very recently: Bernard Baruch. I just finished the 1957 book: Mr. Baruch: The Man, The Myth, The Eighty Years by Margaret L. Coit. Though it was written 60 years ago, I cannot recommend it highly enough; not only for its content, but for the excellent way it was written. Bernard Baruch made his fortune on Wall Street (he was the original “Wolf of Wall Street”) before turning to the political scene of the early 1900’s. He was a solid Democrat, but still called on by leaders of both parties, from Wilson through Eisenhower (with an apparent mid-term falling out with President Harry S. Truman). He never ran for office, and did not hold many formal positions in the various administrations, though the few he did hold were extremely important during difficult times in our country’s past. He was Chairman of the War Industries Board during World War I, and headed the American Delegation to the United Nations Atomic Energy Commission after World War II. He was so much more than any position he ever held. He was truly a “trusted advisor”. Though Baruch was not a lawyer, that is a label every member of the legal profession desires, most believe they attain, but few actually do. Leadership Lesson – Leaders understand the setting/situation they are in and act accordingly, while never compromising on core principles and beliefs. From Page 217 – “For, even to the novice observer, it was obvious that Bernard Baruch was by temperament a born diplomat, with a passion for getting people together and getting things done. Leadership Lesson – Leaders focus on others first; they serve others and develop others, with the understanding of the importance of the team. Leadership Lesson – Leaders understand that it is not all about “me” but “we”, and that personal differences need to be aired out in private, and in the most productive way to achieve organizational success. Leadership Lesson – Leaders are loyal, to both their team and the whole organization. Leadercast is an event held in Atlanta, Georgia each spring. 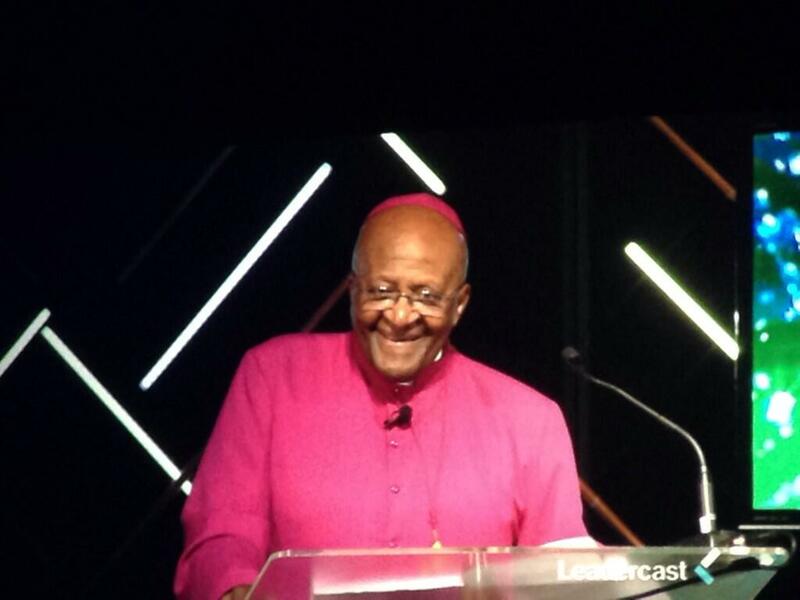 It is simulcast live to locations all over the world (and this year the portion with Bishop Desmond Tutu was simulcast back to Atlanta from South Africa). Unless I have an ABA meeting to attend during the week of Leadercast, I attend the live event. Over the years I have met several of the leadership experts that I count as mentors (even though I have only, very briefly, personally met two or three of them, much of my leadership learning has come from study of resources they have created). The event was held on May 9th 2014. I highly recommend this event to anyone interested in “lifting the lid” on their leadership (i.e. developing their leadership skills). You can find out more about the event at www.leadercast.com. The belief of Leadercast is that leading and being led by people who inspire and enlighten us, gives us strength and allows us to grow. 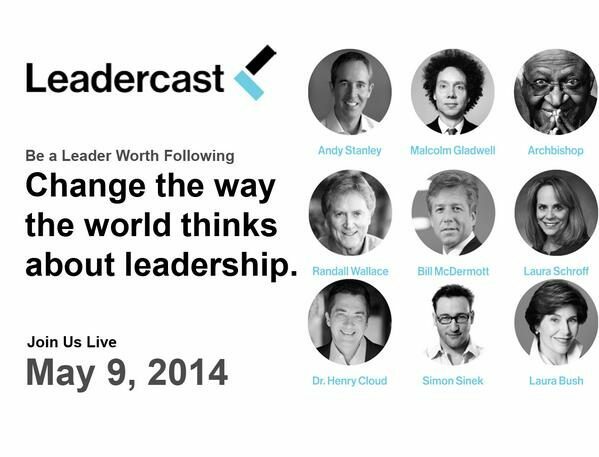 Leadercast was built on a belief that the world needs better leaders—leaders worth following. For lawyer friends that follow me for leadership advice, remember that leadership principles apply not only to the non-legal world, but to the leadership of our profession as well; leadership of other lawyers, leadership of law firms and leadership of clients. Andy Stanley, a local pastor from Atlanta opened the day up (as he has done several times). He truly is an expert on organizational visioning and leadership. He shared the theme of the day with us, which was: Becoming a ‘Beyond You” Leader. He taught that being a Beyond You leader is about fearlessly and selflessly empowering others to lead – those by our side, as well as those coming up behind us. Stanley taught that the value of our lives is measured in how much we give away. He used the example of a funeral and what is honored or remembered about a deceased. It is usually not how much a person made, but instead generosity and selfless acts of kindness. In life we celebrate generosity, but tend to envy accumulation. Dr. Henry Cloud, a clinical psychologist and business consultant, furthered the topic of Beyond You Leadership. Most people are control freaks. Being a “Beyond You” leader, one who achieves both results and relationships, is about three things to understand: 1) that you will only really understand those you desire to lead when they understand that you understand them, 2) that there has to be something in you, some motivation or reason for leading, which is beyond you, and 3) that as leader we must be willing to give up control. Award winning author and journalist Malcolm Gladwell, as he is famous for, made his leadership point by telling a story. He told the story of a leader in Northern Ireland after World War II. The story is beyond this blog, but the point he made was that followers will only follow rules, laws or policies of a leader when they see the leadership of the leader as legitimate. To be viewed as legitimate, followers must feel: 1) respect – the kind where they feel that leadership respects them as persons, 2) fairness – that leaders do not play favoritism but treat every individual fairly, and 3) reliability- that leaders are not arbitrary in their decision making. 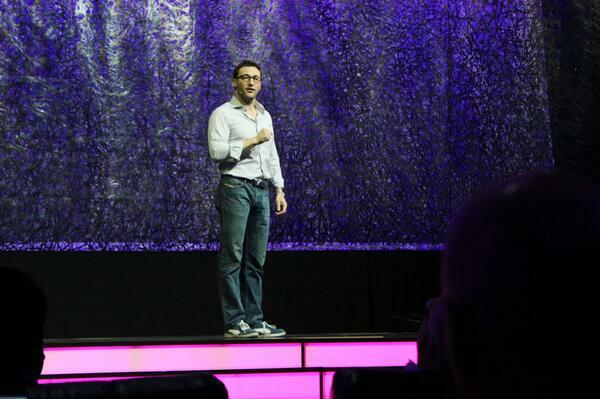 Leadership Expert and Best Selling Author Simon Sinek spoke to the attendees about the environment that we create as leaders. He mentioned that with so much uncertainty in the world the one area where leaders have some control is the internal environment of the organization. He called it the “Circle of Certainty”. We must on a daily basis work to make the environment in our organizations positive. We must make progress on a daily basis. He used (as does many a leadership speaker) Southwest Airlines as an example. That company always comes up in studies as one of the best places to work. Is it really because they hire better, happier people? Sinek says that it is because of the environment the people are in – one created by great leaders who understand that environment is crucial. These were just four of many speakers throughout a full day. Other speakers included Bishop Desmond Tutu, Former First Lady Laura Bush, former advertising sales executive and author, Laura Schroff, screenwriter and producer Randall Wallace and current CEO of SAP (the world’s leading producer of software) Bill McDermott. I was fortunate enough to have an opportunity to experience, and learn about, leadership this past week. On behalf of the ABA Law Practice Division, and as a member of a North Carolina delegation of bar leaders, I participated in ABA Day in Washington, DC. 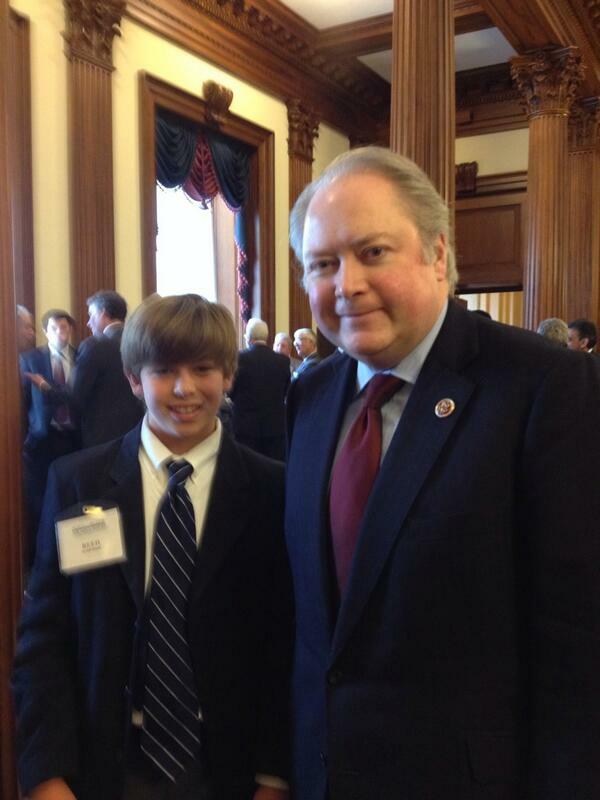 As representative of the ABA and State Bar associations, participants visit with members of Congress to discuss with them pressing needs and concerns. This year there were two major concerns: 1) funding for legal services (a brief synopsis of the ABA position can be found at:_ http://www.americanbar.org/calendar/aba-day/resources/lsc.html ) and 2) a provision of recently proposed tax reform legislation that would, if passed, force upon small professional associations, such as law firms, accrual based accounting (a brief synopsis of the ABA position can be found at: http://www.americanbar.org/calendar/aba-day/resources/vawa1.html ). The North Carolina Bar delegation was fortunate enough to visit with both NC State Senators, as well as all but two of our members of Congress, and/or their staff. First, now that the two party system seems to be a more competitive political environment, and because of the unbelievably fast rate of flow of information today, there is very little time for “leaders” to build the types of relationships necessary to truly lead each other, or the country. Mr. Holding described for us the way members of Congress no longer have any time for each other. 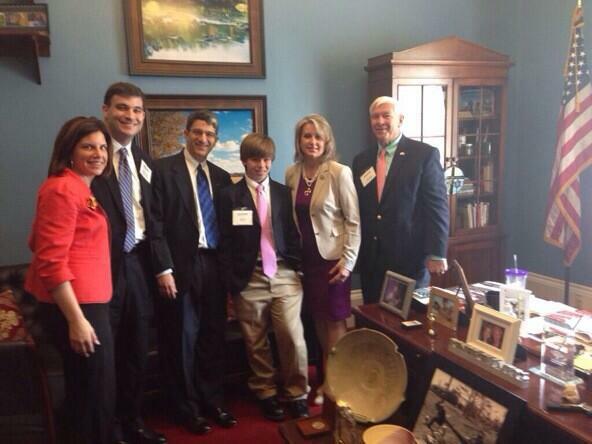 Most time is spent away from Washington raising money or politicking. When Congress is in session, Members leave (assuming they are not in session Friday) on Thursday evening, and return either very late Sunday, or on the first flight Monday morning. I can attest to that fact, as I recall being on the last flight out from DC on a Sunday and crossing paths with my own Congressman in the airport. 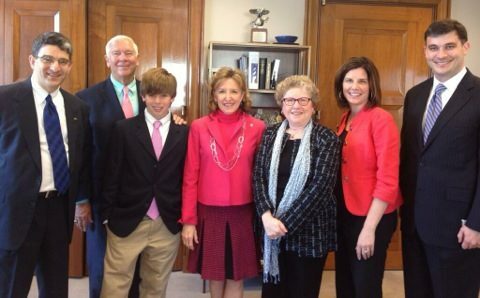 Even when at work in their offices in Washington, it sure seems like every minute is spent meeting with some constituent or other party asking for some type of influence or support. John Maxwell’s sixth law of leadership (Maxwell, The 21 Irrefutable Laws of Leadership (1988)) is “The Law of Solid Ground: Trust is the Foundation of Leadership”. It seems impossible to build the kind of trust needed to lead others if you are not spending any real time with them. Apparently, in the past, members from both sides of the aisle had time to get to know each other and form the kinds of trust that help build the types of coalitions that transcend party lines. It seems this has been lost. For leaders of lawyers in law firms and clients, the lesson to learn is that we truly do have to spend time getting to know those whom we lead. Leadership of others takes time, and the kind of trust that leads to success will only be earned over a long period of devoted time. Second, listening to Mr. Holding as well as other members of Congress, it seems that the power of position has increasingly become a real hindrance to leadership in Washington, DC. In 20th Century years gone by, it seemed as if there was a less competitive environment, because there was less likelihood that the Congressional makeup and control could change from election to election. One party held Congress for many years, and status quo was maintained because congressional districts did not really change from D to R or R to D, very often. This is simply no longer the case. With position, or the possibility of position, comes the potential (or thirst) for power, and therefore the possibility of having the power of “forced” influence (or as some leadership guru’s call it, Level 1 Leadership). True leadership, or what is known as “Servant Leadership”, is not about the power of position, or forced influence, but positive influence through service to, or for, others as the main incentive to lead. We seem to have lost this in the present environment in Washington, DC. Let’s hope that the environment will change in the future such that even with change in position, the focus (or passion) of our “leaders” will be on service, and not power. The lesson for leaders of law firms and clients is to understand that your motives need to be pure. If you are simply “leading” to have power or influence over others, then you may get your way, but you will not be leading. Our passion as leaders in the profession needs to always be primarily focused on the service of others: partners, associates, staff, clients, other members of our profession and the communities in which we live and work.